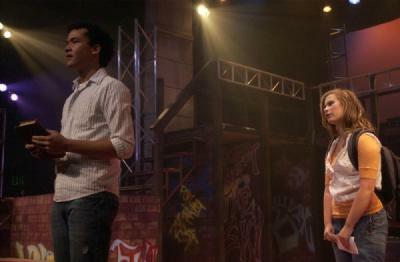 Stage » The vintage high school musical revives 1980s fashion and an ambitious story about talented teenage performers. Park City » Fashion edged with 1980s flare aren't the only thing coming back this fall. 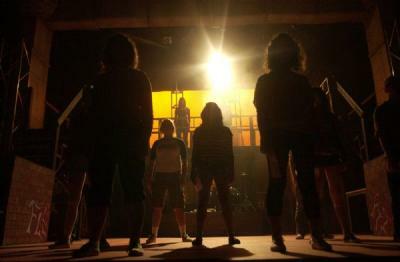 Egyptian Theatre presents a revival of the musical stage adaptation of "Fame," a vintage high school musical story about the talented young performers at a New York arts high school. "I thought about doing 'High School Musical II,' but it's such a rotten play," said director Jane Talley. "I thought it was time to do 'Fame' again. It's not being done anywhere else." The show is the first to be produced under the revamped company's family and community theater emphasis, as earlier this year the Egyptian broke its professional contract with the Actors' Equity Association. The local musical beats the buzz surrounding a new version of the film, which is set for a nationwide release in late September. "I knew there was a movie coming out, but I didn't know it was going to [be released] Sept. 25," Talley said. "We're pre-empting it, which is great." The stage musical -- based on the book by David De Silva and José Fernandez -- follows students in the last class to graduate from the 46th Street campus of New York's High School of Performing Arts before the school moved to Lincoln Center. The students work to improve their skills in dancing, acting and music, while learning about the importance of discipline while they confront issues ranging from illiteracy, drug abuse and racial strife. Talley set the musical in the contemporary era, in contrast to the show's 1980s-inspired costumes. In the cast, four adult actors join 16 teenagers, who range in age from 13 to 19. The director sought a multi-ethnic cast in valleywide auditions, which yielded a pool of young actors who, for the most part, weren't aware of the movie, its Oscar winning song (chorus: "I'm gonna live forever/I'm gonna learn how to fly/High"), or the popular TV show it inspired, which ran from 1982-1987. Jeremy Egan, 19, of Farmington, plays Nick, an aspiring actor wanting to reach another level in his talent. Egan's own desire to move people with his acting made it easy to relate to his character, although he had only heard a few random pop culture references to the story of "Fame" before winning the part. "I didn't know much about it before auditions," agreed Kyle Khou, 17, of South Jordan. "My mom had seen the TV show when she was younger, but I hadn't." Khou, who is a gymnast as well as studying acting, singing and dancing, said he's nothing like his argumentative character, Tyrone, but he likes the "little bit of everything" nature of the role. "It's definitely not as cheesy as 'High School Musical,' Khou said. "It targets teens and older people. It's kind of hip and cool. It's not bubble gum pop."